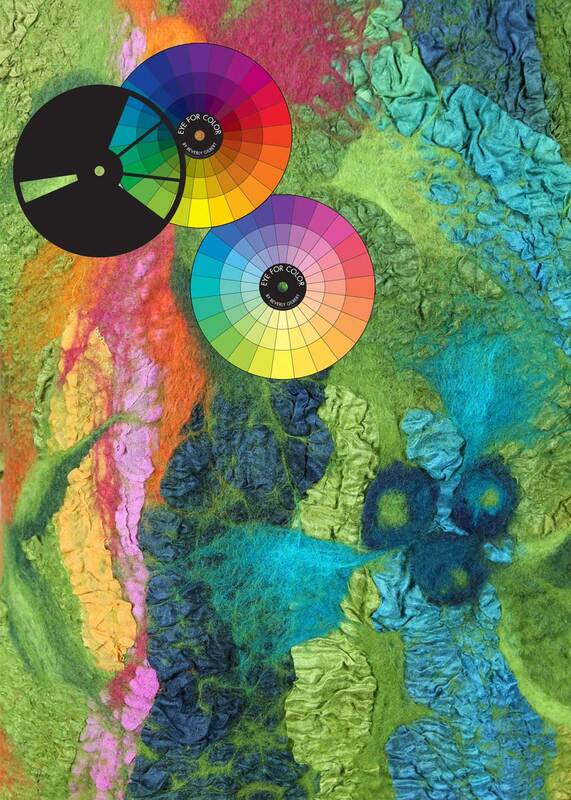 Create luscious color palettes with depth and interest. We will begin with a hands-on approach to basic color theory and in a short time master value, saturation, undertone and transition colors. You will develop color confidence working with, and manipulating, traditional color harmonies using the Eye For Color system. With this knowledge you will create numerous color palettes using a special color palette of fiber created for our workshop. Your new palettes can then be labeled so you will be able to work with them again and again in future projects. In Dive Into Color you will enhance the colorways you already know and love, move confidently into new color palettes and train your eye to know when a color palette works for your eye and how to fix ones that don't work. 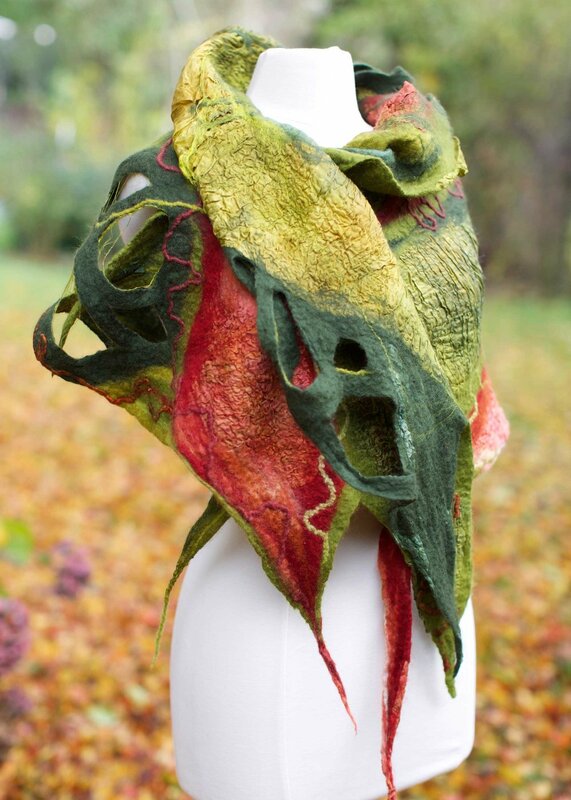 Create stunning wearable art in a single day by collaging bits of silk and wool into a new piece of fabric. 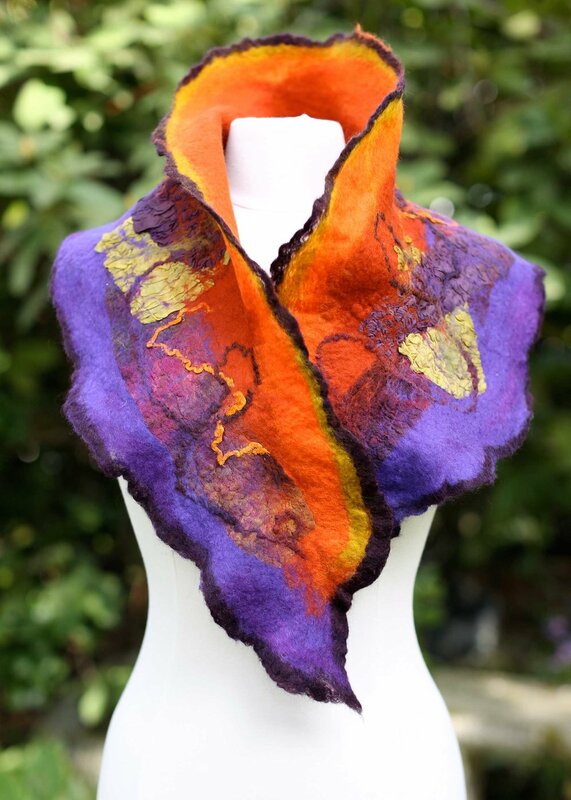 This Nuno-Felted project is accomplished with no sewing, knitting or stitching of any kind. Play with exciting color combinations to create a scarf that is as much fun to wear as it is to make! No Prerequisite: This class is ideal for all levels of skill and works very well in combination with other 1-day projects. 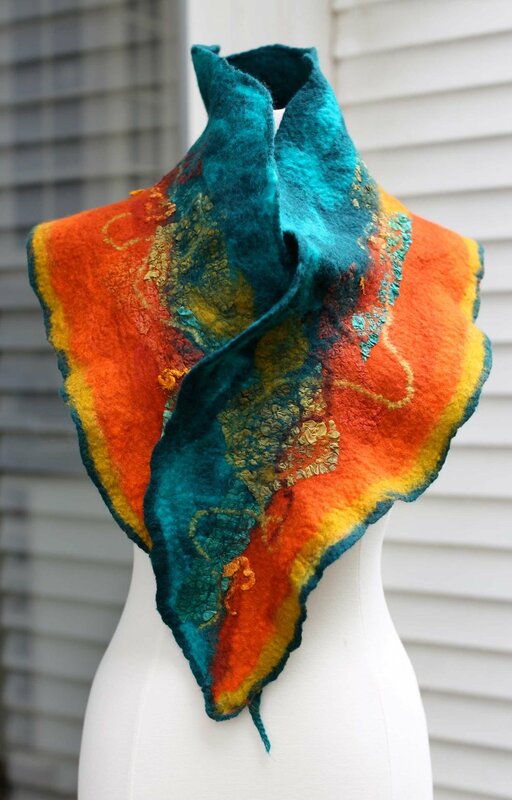 We will also explore color flow techniques and learn how to blend wool to create a glow of color. The resulting pieces are truly one-of-a-kind. Discussions of color will be woven in throughout the workshop. Paint with fiber to create a textural piece using silk and wool. Learn the stunning art of Nuno Felt while you create leaves, flowers, trees and other garden elements. You will come away knowing how to blend wool to create a rich depth of color to mimic shadows and highlights. Create a shawl, pillow topper or wall-hanging. In this very colorful Art & Wine class, create felted flowers with stems that can wrap around almost anything. Perfect as hostess and holiday gifts around a bottle of wine or on gift packages. Make different colors for your wine glasses, or be bold and wear a big flower ring! 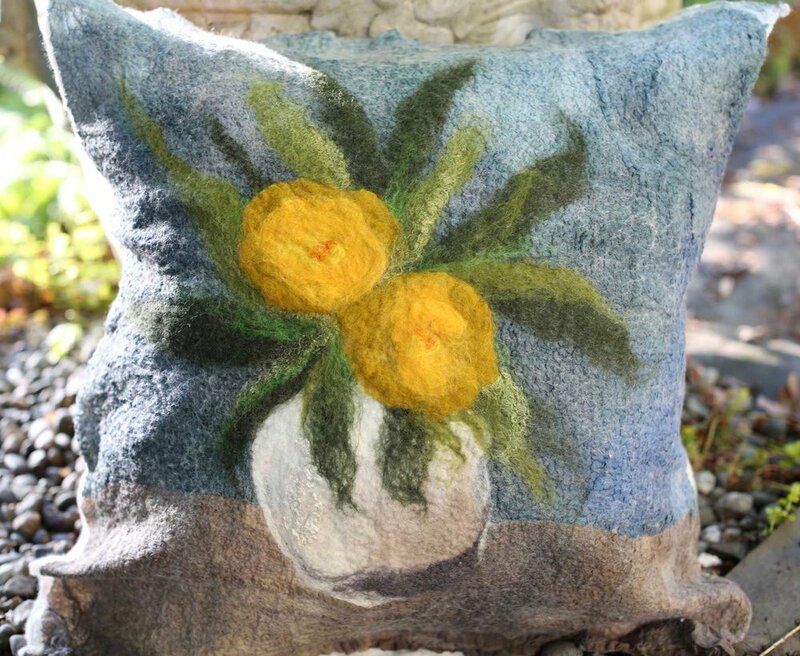 Create a piece of fiber art bursting with color using the ancient art of felting with a modern twist! In class, we will learn easy wet felt techniques while we dive into color and design to create one-of-a-kind artwork that can be worn as a scarf, hung on a wall or cut up into place mats, pillow coverings or sewn into other projects. Learn how to create fiber art in 3-dimensions. Using wool roving, bits of yarn and resists, you will come away with vessels bursting with color. In class we will learn easy wet felt techniques while we dive into color and design to create one-of-a-kind artwork with no knitting, sewing or needles.